Afghan refugees are out of luck in Germany and running out of time in Pakistan. For three decades Afghanistan was the world’s largest producer of refugees. Afghans fled revolution in 1978, invasion in 1979, occupation until 1989, civil war in the 1990s, and Taliban oppression into the 2000s. Some are still fleeing, and not without reason: Afghanistan’s future stability is very much in question. But Germany recently announced it would send back Afghan refugees mixed in with the flood of Syrians and Pakistan said it would begin phased repatriation of the more than a million Afghan refugees next year. In recent months, refugees have garnered greater international attention as they stream into Europe from the conflict in Syria. But not all the refugees are from Syria; some have traveled a bit farther. In fact, it wasn’t until late 2014 that Syria overtook Afghanistan as the top source country for global refugees. Taking in refugees became a divisive topic in Europe over the summer. By September, the EU had reached a deal to dole out 160,000 Syrian refugees among the member states. Germany has pressed for Europe to accommodate more while many countries in eastern Europe cry for fewer. In 2015, Afghan forces took over the combat mission in Afghanistan and the security situation has not stabilized. There have been violent attacks in Kabul, fighting in many formerly-calm northern provinces, and continued worries about what happens when the Americans leave. (A delayed departure is nonetheless a pending departure and generates anxiety.) As the war continues but fades from focus, civilian casualties there have reached record levels. In August, the UN Office of the High Commissioner for Human Rights (OHCHR) said that based on civilian casualties in the first six months of the year, 2015 is set to equal or exceed 2014’s record high numbers. The Afghan government not only wants Afghans to stay, but wants those who have fled to return. According to UNHCR, since 2002 more than 5.8 million Afghans have returned from abroad. Still, as of December 2014, nearly 2.5 million Afghan refugees (both registered and undocumented) lived in Pakistan, with nearly a million more in Iran — though counting them is a difficult task. The Afghan Ministry of Refugees and Repatriation (MORR) has been plagued by corruption and an inability to adequately repatriate returnees. Many returnees come back to no property, jobs, or prospects. A 2013 anti-corruption assessment “cited bribery, forgery, nepotism, embezzlement, and poor customer service as obstacles” to the implementation of a 2012 strategy to assist returnees. In response, the U.S. State Department ceased funding MORR. In September, the special inspector general for Afghanistan reconstruction (SIGAR) recommended that State monitor and access progress of the Afghan government in addressing MORR’s issues and reinstate funding if appropriate. MORR is going to need the funding. 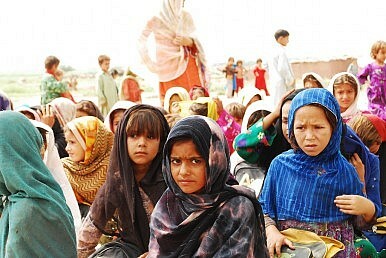 Pakistan announced recently that it plans to repatriate 1.5 million registered Afghan refugees over the next two years. As reported by Voice of America, a Pakistani spokesman said a repatriation plan would be going before the Cabinet this week, which would not extend a December 31, 2015 deadline. A UN official, however, told VOA that even such a decision by the Pakistani Cabinet would not alter the status of Afghan refugees under international law — or change Pakistan’s obligations.